The chief medical officer at Adre hospital takes a routine phone call: a patient has been admitted with gunshot wounds and needs emergency surgery. A dusty town in eastern Chad, once part of the proud Ouaddai empire, Adre is caught up in a mounting conflict between local farmers and nomadic camel herders from the north of the sprawling country. Last year, the hospital treated more than 100 patients with bullet wounds. 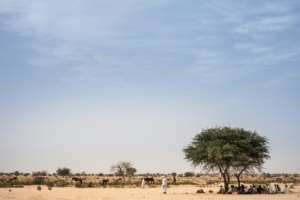 In a territory where almost everyone seems to have a gun -- a legacy of rebellions launched from eastern Chad and of the brutal conflict in Sudan's Darfur -- squabbles over grazing land and trampled crops swiftly lead to violence. Such disputes are tragically familiar in many parts of Africa. 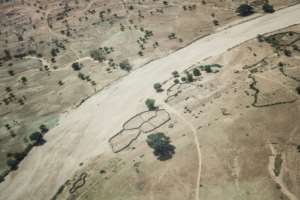 But in arid eastern Chad, near the border with Sudan, the bloodshed is particularly acute, rooted in a bitter drought and population pressure sharpening rivalry over access to land. The vicious circle of attack and retribution is running full tilt. Admissions in Adre rise sharply during "times of tension", a source at the local hospital said. Those times mirror the seasons. 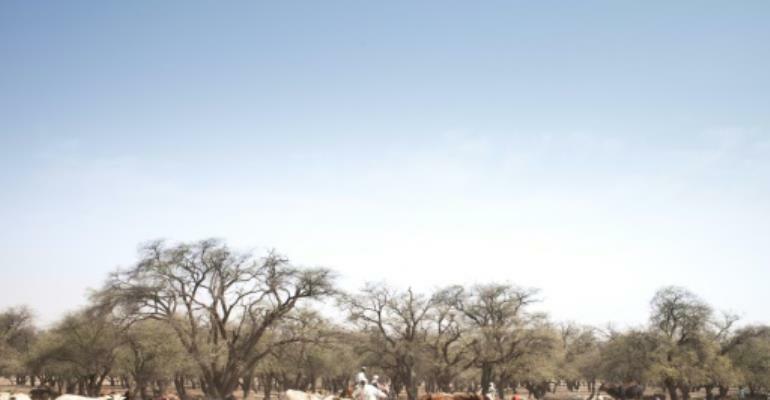 At the end of the rainy season, in December and January, herders drive their beasts northwards into the Sahel. When water sources start running low, they return south, from about the end of June. Local chief Abderahim Dahab, who supervises 136 villages in his traditional leadership role, said the modern-day bloodshed contrasted with long-established cohabitation. "Movement of livestock has always happened peacefully, for decades," he said. Migratory herders benefit from pasture on which to feed their animals, and farmers benefit from the animals, whose droppings fertilise the soil. And farmers and herders mutually benefit from trading with each other for food. Historian Mahamat Saleh Yacoub said two factors explained the breakdown between the two communities. The first is a drought that has gripped the Sahel since the 1970s and seems to be worsening. Everyone who spoke to AFP agreed that the key issue is a lack of water. "The herders are now coming earlier in the year and going back later. The established ways have broken down," said another district chief. Saleh Yacoub, who is head of the ENS college of higher education in Abeche, near Adre, said the second cause was a population increase -- "as much among people as among livestock". Herds are getting larger, straining the fragile ecological resources of the Ouaddai. The rivalry has "become intertwined with ethnic problems", added Yacoub. "The herds all belong to the same people: colonels, generals, people in politics," explained a village elder sitting on his mat with a glass of tea. "We have had meetings, we write letters to the deputy prefect (district administrator), the prefect himself, but get nothing back," he protested. "The population has no power against them." Many cattlemen are members of the Zaghawa ethnic group, who come from the northeast of the giant country. The Zaghawa include President Idriss Deby Itno, who came to power in 1990. Members of their ethnicity have entered every rank of the Chadian state, although Ouaddai's governor, Ramadan Erdebou, dismisses any suggestion that tribalism is to blame for the region's problems. "This ethnic question is a false debate. 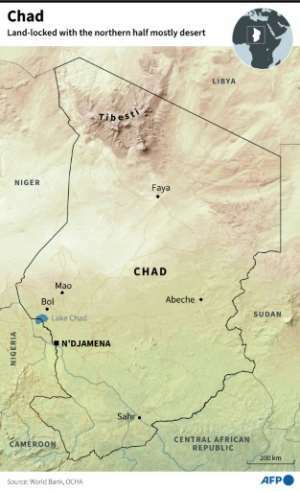 There are Chadian women and Chadian men and one single unity, Chad," said Erdebou, who was formerly the chief of the regime's powerful intelligence services. Erdebou's predecessor was sacked after an explosion of communal violence last October claimed eight lives. One of his first moves in office was to announce a massive disarmament campaign among the population. He also warned that a mission would be coming from the capital N'Djamena to chase away "those farmers who have cultivated crops along the corridors (set aside) for livestock movement." These designated corridors were established by law in 1959, to give nomads and their herds passage of up to one kilometre (more than half a mile) wide for their seasonal migrations. "But Zaghawa herders feel they can do what they like and don't respect them," said a farmer, who maintains he lost his entire peanut crop in 2016 when hundreds of dromedaries trampled his field. "How do you expect Ouaddians to agree to be disarmed when you see that the herdsmen have more and more weapons?" asked a local official. In 2015, the National Assembly in the distant western capital passed a Pastoral Code that led to an outcry from people who found it heavily biased in favour of the cattle breeders. Deby overturned the law. "It's hard to want national unity when those in power only favour their own," said the local official, who asked not to be named, saying he feared reprisals. But, Saleh Yacoub observed, when quarrels turn violent, "the Zaghawa become the target for all the grievances, regardless of whether they are legitimate or not." In a visit to Abeche in February, Deby named no names but acknowledged there was a "serious problem." He vowed to "take matters in hand". "The hour for vendettas is past," he declared.